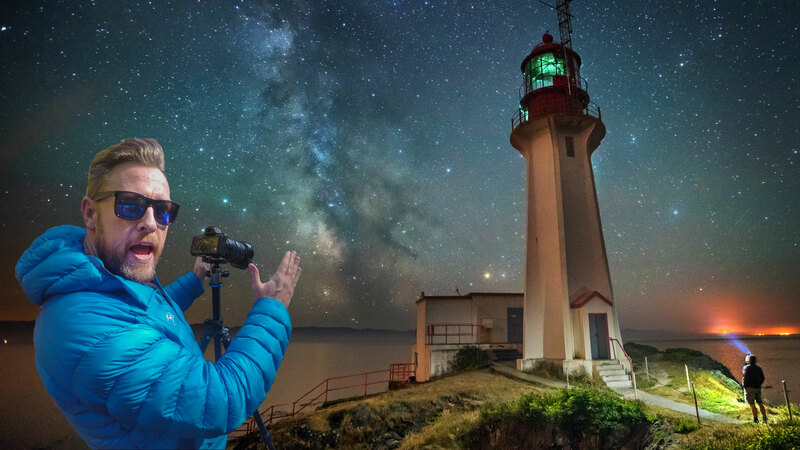 Have you ever wanted to know how to capture those mind blowing Milky Way shots with your own camera? Join my Milky Way photography workshop where you’ll get to learn how to photograph and post process Milky Way images. 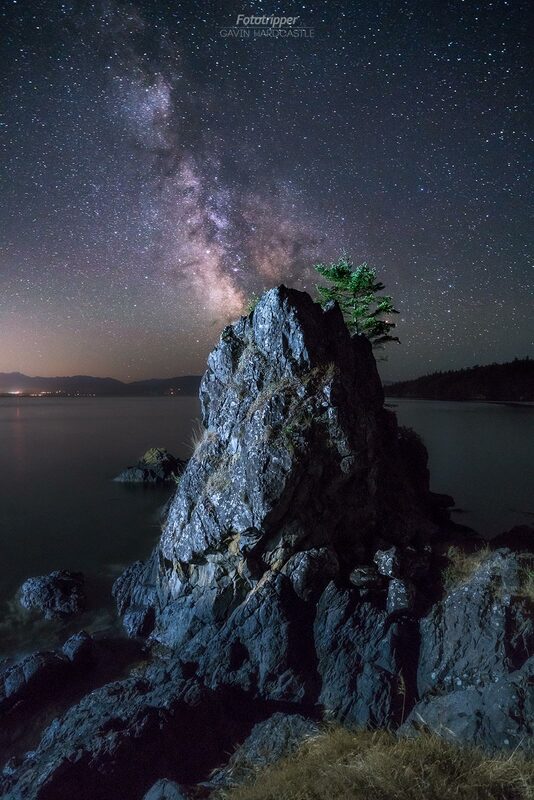 This is a rare opportunity to photograph the Galactic core right here on beautiful Vancouver Island. The Milky Way is every astrophotographers ‘Holy Grail’. Now is your chance to capture that same celestial phenomenon with your own camera and I’m here to show you how I do it. During the summer, I’ll be living a nocturnal life as I shoot the Milky Way as much as possible. Join me Gavin Hardcastle, for a one night workshop under the stars on the South, West coast of the Island. Friday Night July 5th, 9PM, 2019. Meeting Place: Tim Hortons, 739 McCallum Rd, Victoria, BC V9B 6M1. 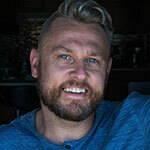 If you booked before Feb 7th 2019 that means you are booked on the Saturday June 6th workshop. This is Creyke Point where we will be shooting the stars. 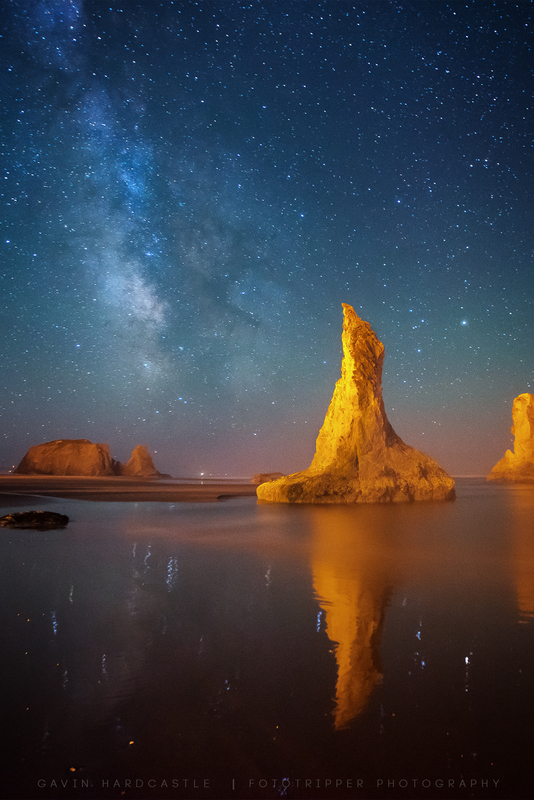 The Milky Way and sea stacks of Bandon Beach in Oregon. 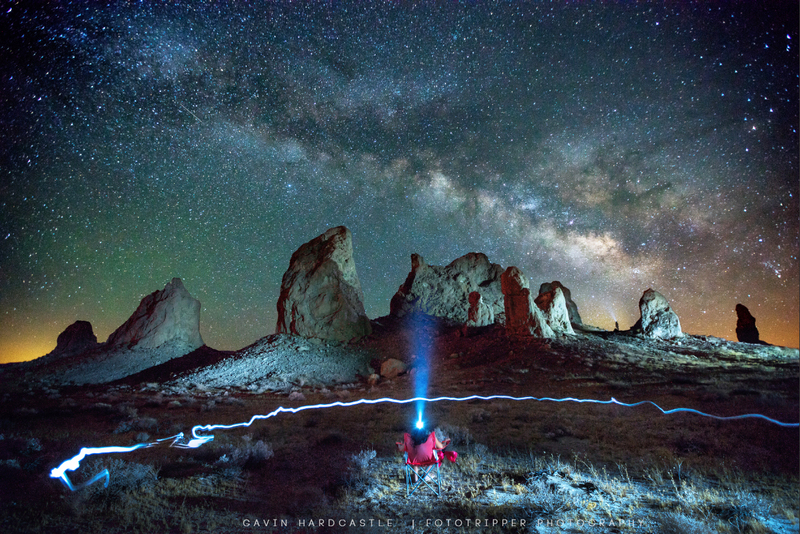 The Trona Pinnacles in California with light painting by helicopter. The widest and fastest lens you have. Ideally a 2.8 or faster. Most of the post processing that I do can be done in Adobe Lightroom so if that’s all you have that is fine. If you’d like to make the most out of the light painting we’ll be doing, you’ll need Adobe Photoshop. 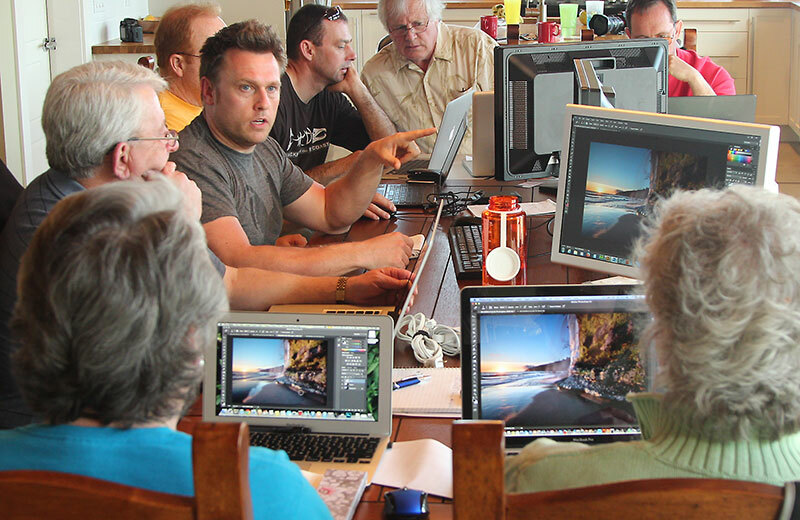 Photoshop users should also have Adobe Bridge for fast previewing of their RAW files. Download a Free Trial of Photoshop Here. Please ensure that whether you’re using Lightroom or Photoshop that your installation is fully installed and working on your laptop. 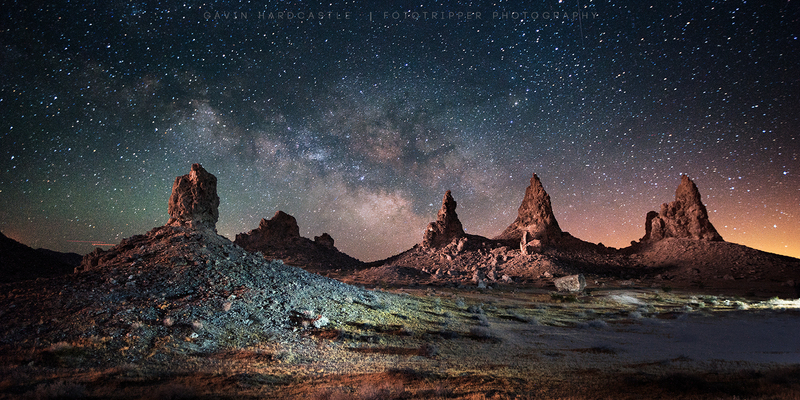 The Trona Pinnacles in California. This entire scene was light painted with just one headlamp. For those who can, I advise sleeping in till late on the morning of the workshop. Maybe have a power nap in the afternoon because we’ll be burning the midnight oil until it runs out. Sure, it’s great to know how to shoot the Milky Way but how you process those images can make a huge difference to the finished product. Let’s Go Shoot The Stars!